In our period-inspired shop, we’ve gathered the loveliest period-inspired, classic, antique and vintage wares for home, garden and body, from our partners. We may not be able to live at Pemberley (or at Downton Abbey, Green Gables, or Howards End), but we can all have a few precious items that almost make us feel like we do. It may sound silly to some, but the right linen tea towel or wooden bowl can really transport a soul. We are guessing you feel the same, so we’ve made it easy for you to sift through an abundance of period loveliness in one shop. Many of the goods come from independent makers, small manufacturers, and artisans who create traditional and timeless products using all but forgotten skills and tools. There are heritage brands too that your grandparents would know, still producing heirloom wares that are functional, beautiful and made to last. And of course there’s a tea shop filled with everything you need for a proper English tea time. Look for handmade, hand-crafted, homemade, sustainable, fair-trade goods alongside reproduction items with classic old-fashioned style. Even if you aren’t shopping, you’ll find inspiration: historically inspired and period authentic furnishings and home decor for the French country, American farmhouse, primitive homestead, Prairie house or English cottage of your dreams. UPSTAIRS: Period inspired wares for above stairs: natural and hand-woven textiles, home furnishings, the finest flax linen, bedding and bath decor. DOWNSTAIRS: Period-inspired wares for below stairs: kitchen, cleaning, and laundry lovelies for your home. 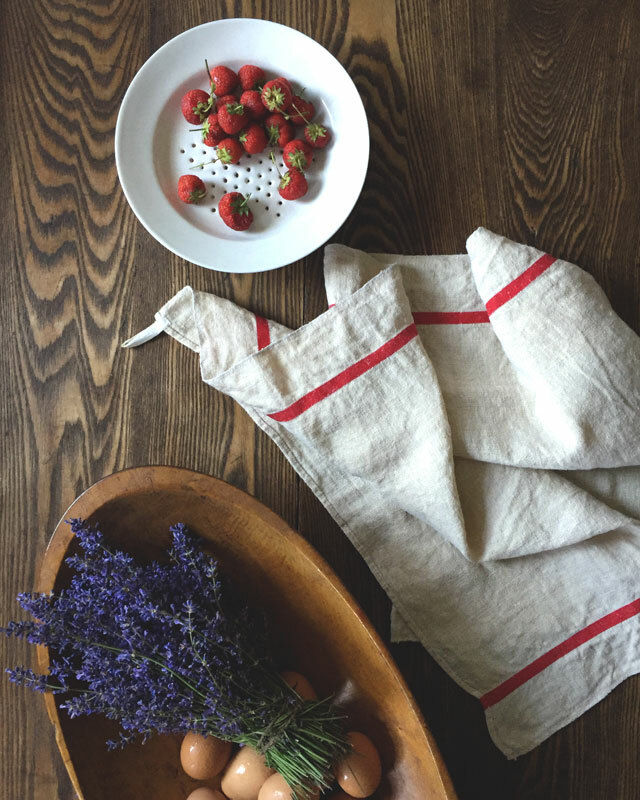 Find the handmade linen pinafore apron of your dreams, cookware and dishes for the period kitchen and table, torchon metis tea towels, natural time-tested cleaning supplies. SECRET GARDEN: Period-inspired wares for your garden from the everyday to luxury: rope swings, the best hand-forged tools, terra cotta pots, birdhouses, baskets and heirloom seeds. TEA & PANTRY: The best British, English, Irish and French teapots, mugs and black teas. Look for organic, fair-trade and Rainforest Alliance Certified teas, teacups that are made at The Potteries in Stoke-on-Trent, England using traditional methods, hand-painting and original copper plates. Teatime treats too.